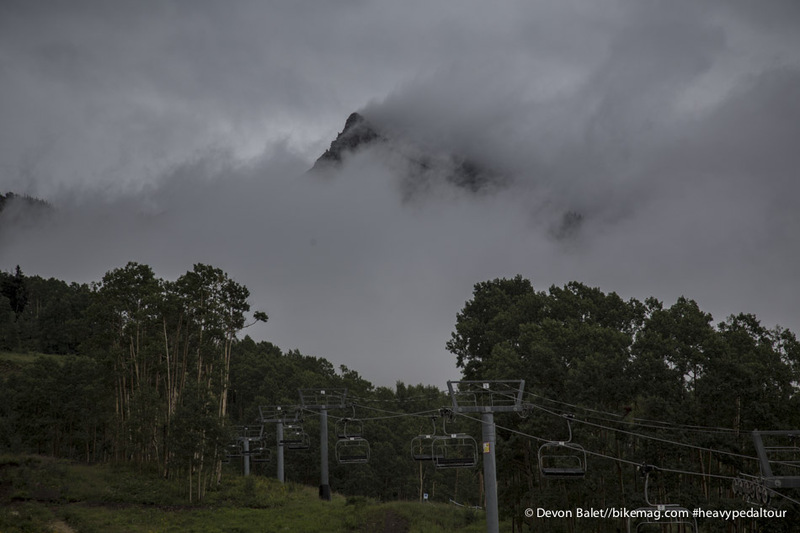 Our time in Crested Butte was initially shrouded in rain, thunder and some seriously depressing weather. Glad we stuck it out, though, because when the sun returned, the trails were perfect. We rolled into Crested Butte, Colorado with gray clouds in the sky. Our hearts sank a little as we Googled wunderground.com and saw what the predicted forecast was for the remainder of the week; nothing but rain, thunder, lightning and gloom. We swallowed, and sighed, as we unloaded the camper of all our gear and belongings; even Dude, the dog, had a weary look in his eyes. Dude thinks every sound of thunder is the beginning of the apocalypse. He is no source of positive energy when skies are full of witchcraft. Colorado is known for its late afternoon thunderstorms, but lately the storms have been moving in early and lasting for far too long. Our first and second days at Crested Butte were a total wash. Rain can be part of the mountain biker's sad diary, but there are plenty of cyclists out there who use wet weather as a training opportunity. Well, nice work for those guys. That's not us. Trey and I left the Pacific North Wet to get away from the brown sludge, but here we were, seeing it again. Don't get me wrong, we did gear up and hightail it to the lift. We did still have "work" to do that day. The lift, however, was shut down for the day. We stood in the rain and watched a few mountain bikers make their way down the hill. Everyone who made it up the lift before it was shut down had peanut m&m-sized pieces of mud falling off of their butts. Sorry to be so graphic, but those are the facts. Should we get to the part where the clouds part and we ride? After all, we were in the mountain West, where the trails dry quickly and the sun comes out! The third day was beautiful, and the trails were perfectly tacky. Only the threatening thunder had us on our toes. We rode for the whole day. Breaking only to enjoy the wild raspberries and strawberries growing all over the mountain. Even, Devon Balet, our tricky photographer put down his camera to partake in the miniature-sized berry feast. "Last run of the day." Those ominous words came out of our mouths before we had a chance to take them back. To make things worse, we had the bright idea to choose a double black diamond trail called Psycho Rocks for that last run. Large boulders and wooden features brought Natty down to her knees, or shins to be precise. She got to finally try out her new-ish kneepads and came to the conclusion that a hard shell would have been better suited at protecting her legs; she called it a day and rode out to the nearest green trail. Trey was next on the chopping block. He crashed just below where Natty took a tumble. The line was scoped out, but didn't pan out. He thought for sure he'd picked out the supremo line, but alas, Psycho Rocks had the last laugh. Trey called it a day. The lesson we learned? Maybe a double black diamond on a "last run" is not the best idea. Did we mention that we had dry tires on a wet run? That's our excuse, and we're sticking to it. 1.) 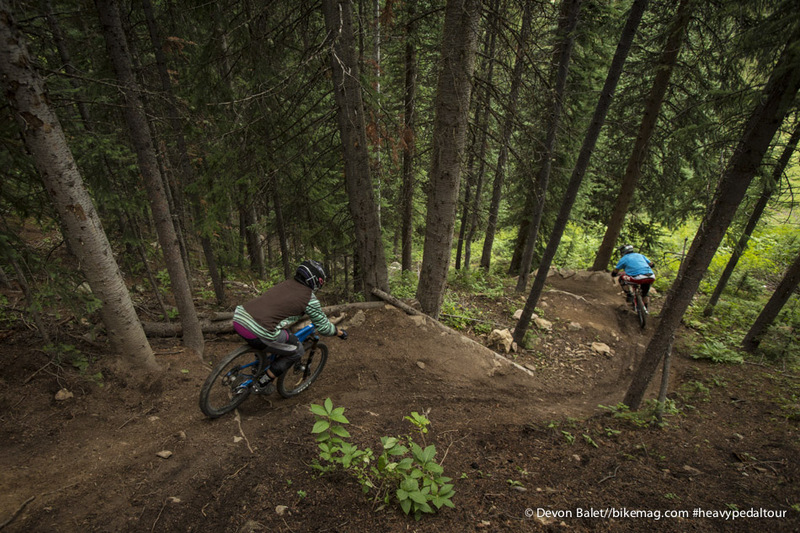 Timeline: a black diamond trail, which had a new middle section under construction. What they are adding made us drool, and we found ourselves begging to be the Guinea Pigs. Sick hip jumps, step-ups, and step-downs dominate this new zone. Trey was ready to pick up a shovel and help out. 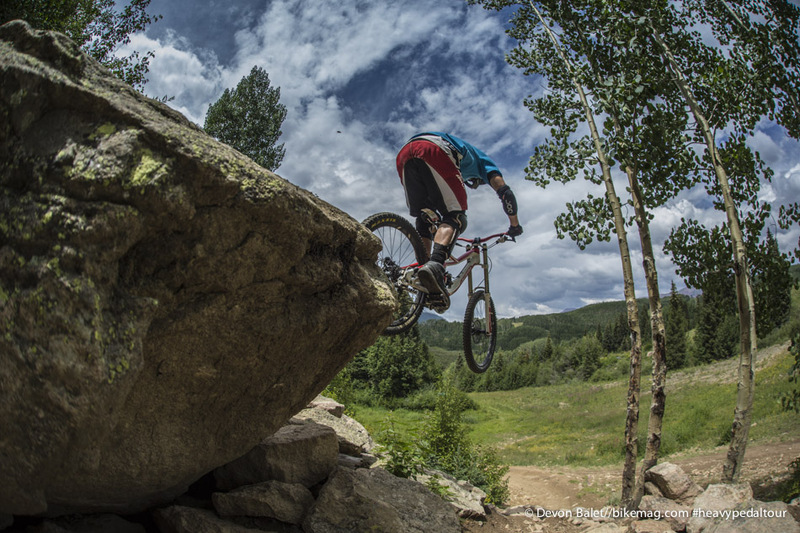 We wanted to ride it before we left Crested Butte, but the answer was No va a pasar! We did get to ride a new section built just below the one under construction. The trails will eventually come together. It's a short section with a ladder drop to a hip jump and three tables. Can't wait until next year, when the whole thing is ready to ride! Nice work, guys! 2.) Crusader: This trail was put on hold for three months because of nesting birds. Thank you to the US Forest Circus for your diligence in finding those cute little creatures. One day they will be proud to say, they were "born and raised in a bike park". This new superb, chiseled-out piece of art will drop down to a lift that has never been run and operated for bikes. YES, a new lift will be opening at Crested Butte! Someday when the birds are done nesting. This trail will not be kind to the novice rider. It offers tabled jumps, lots of wood, drops, and large berms. We only got to see the first third of the trail, as it was still under construction. Once it is done, there would no reason for anyone who likes park riding not to move there. Seriously. 3.) 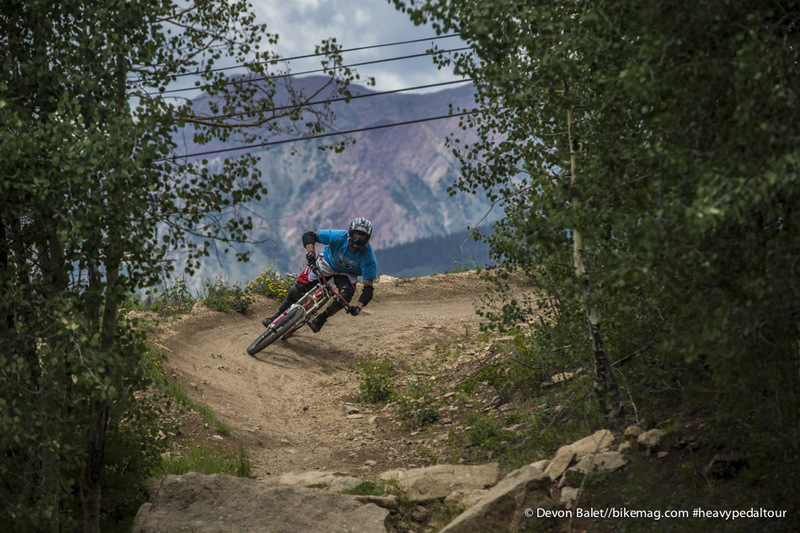 Evolution bike park has two new jump lines at the bottom of the mountain. One is a blue line. The other is a black. Each line offers three huge tables with perfectly-built transitions. Not only do these jumps offer something new to hit up on the way back down, but they are also a place to be seen styling out. 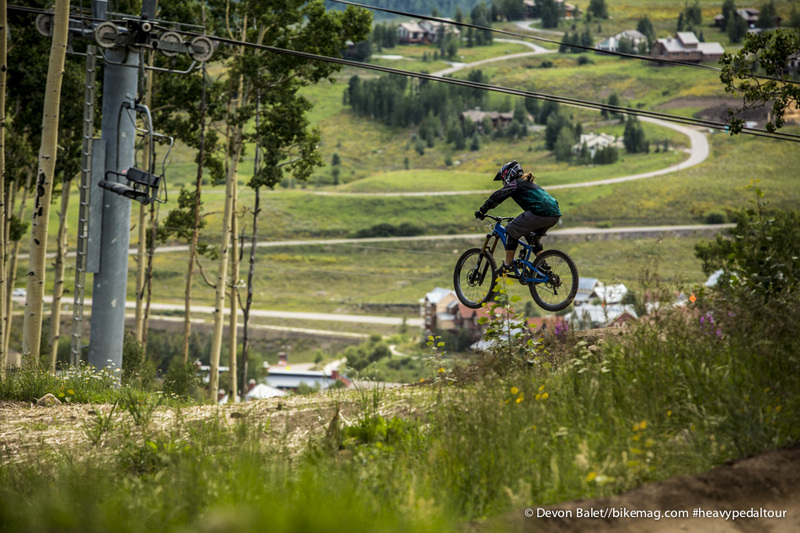 The chairlift line and village tourist traffic get an eye full of bikers getting rad on these two jumps lines. We can't end this article without talking about the community and Music in the Park series. So what if it's raining, who cares? This does not stop the Crested Butte community from coming out. Just bring the party inside. Even though, by the time the music started, the rain had stopped. 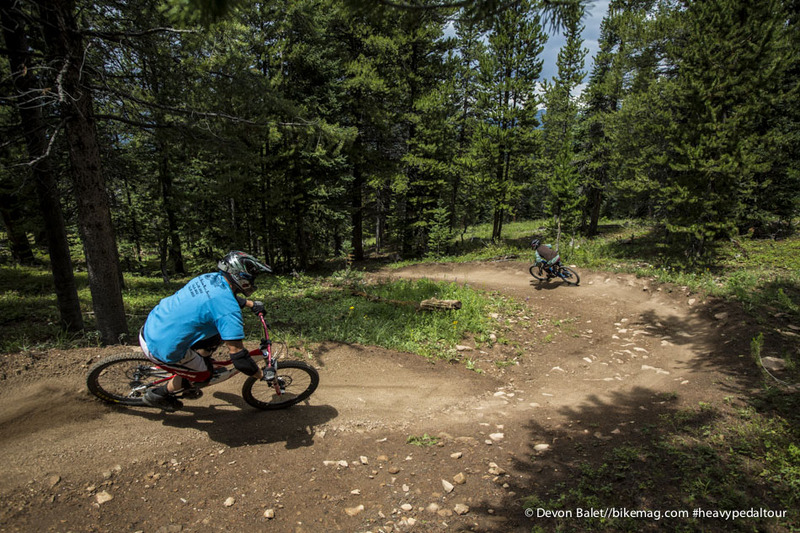 We are happy to say that Crested Butte is still at the top of our list of best bike parks to ride in the United States of America! Natty's favorite: Timeline! Can't wait to see the final product. Trey's favorite: Psycho-Rocks. Even though you hurt me, I still love you.